Strutt & Parker’s national Farming Department has more than 40 consultants ready to help you whatever the needs of your farming business and wherever you are based in the UK. Our aim is to help landowners and farmers, from the smallest through to the largest, meet their business objectives and make the most of the assets available to them. Download our latest Farming brochure here. Our experienced and knowledgeable team can help make you become more profitable and efficient by offering practical and realistic farm management advice. We can also assist you in solving bigger strategic issues such as succession planning or a change in business structure. We have a proven track record of working with the most progressive farmers and landowners. They know that once we have agreed a plan of action, we will make sure it is delivered by putting the right people and systems in place. Our bespoke service means you can ask us to carry out a one-off business review or we can offer a full range of farm management services on a long-term basis. We can support you in decision-making around cropping or investment, help to recruit staff, identify new opportunities and complete grant applications on your behalf. Alternatively, we can set up and run a joint venture or even take on the day-to-day running of your whole farm. We also run a successful buying group that helps our clients secure valuable discounts and rebates on machinery and input purchases. Our people, who are based in 10 offices around the country, have the experience and local knowledge to help you grow your business, solve problems and adapt to changeable market conditions. The team has a strong, practical background and we have a wide range of livestock and arable technical specialists. Nearly half of our experts are BASIS and FACTS qualified, delivering independent crop management advice across more than 50,000ha. Our scale means we have access to expertise on virtually every agricultural issue. We can also provide access to the wider Strutt & Parker team. For example, we have agents who can help with the sale, purchase or valuation of farmland, plus planning and energy experts if you are thinking of diversifying or developing property. Our first step will always be to listen so we can understand your aims and your situation. We know the challenges of day-to-day farming and recognise that there is no one-size-fits-all solution. We also passionately believe that your success – and ours – is built on strong long-term relationships, honesty and integrity. We will work with you to unlock potential, turn ideas into reality and ensure your business is truly world class. Our farm management services are built on a strong foundation of experience and local knowledge. Objective, independent advice can be the key to unlocking the potential of your farm business. Strategic business planning is about identifying what you want from your farm in the long term and putting a plan in place to make it happen. Modern livestock farming is becoming increasingly complex as technology plays an every-growing role in the management of stock. 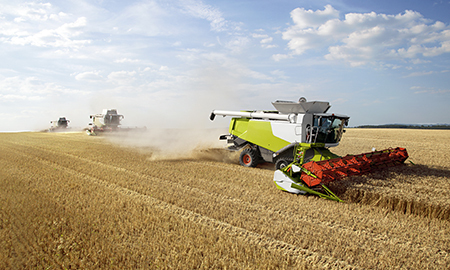 Contract farming agreements and joint ventures have become increasingly popular in recent years, solving different problems for different people. The support payments made through the Basic Payment Scheme are strategically vital to almost every farm business. There is a range of subsidy and grant schemes available to farmers and land managers who may want to diversify, improve their productivity or carry out environmental work. Finding and keeping the right staff is critical to the success of any farming business. The Strutt & Parker Best Buys Buying Group saves clients significant money on farm inputs and agricultural machinery. The financial management of a farm business is as critical as the health of your livestock or the correct management of your crops.